Despite many months of negotiations, Elsevier was ultimately unwilling to meet the UC’s key goals: facilitating universal open access to UC research, as stated in the Academic Senate’s principles on scholarly communication, and containing costs for an integrated contract covering both open access and subscription costs. As a result, the UC will not be signing a new contract with Elsevier at this time. The University of California (UC) is currently in negotiations to renew its systemwide licenses with Elsevier, one of the world’s largest commercial academic journal publishers. These negotiations directly support UC’s mission by facilitating the broadest possible access to UC research results and providing leadership in transforming scholarly publishing into a system that is open, fair and transparent. The University of California is committed to disseminating its research and scholarship as widely as possible [and] recognizes the benefits that accrue to its authors as individual scholars and to the scholarly enterprise from such wide dissemination, including greater recognition, more thorough review, consideration, and critique, and a general increase in scientific, scholarly, and critical knowledge. The goal of these negotiations is to increase the transparency and impact of UC research through open access. Because the UC accounts for nearly 10% of all U.S. publishing output — the most of any public educational institution in the country — the UC is in a position to lead the way towards a more open and sustainable scholarly publishing system. Update: March 20, 2019 — UC’s Office of Scholarly Communication published an open statement on the university’s decision to cut ties with Elsevier. 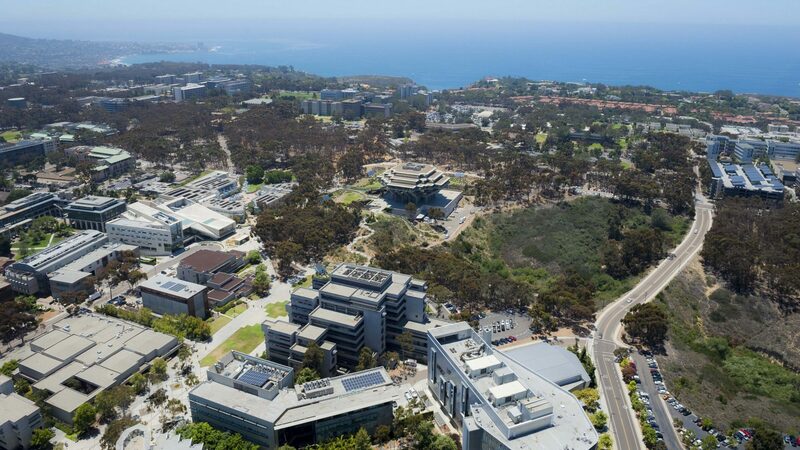 Update: March 4, 2019 — Executive Vice Chancellor Elizabeth Simmons, Academic Senate Chair (San Diego Division) Robert Horwitz and University Librarian Erik Mitchell shared the outcome of the Elsevier negotiations in an open letter to all academics, staff and students at UC San Diego. Update: February 28, 2019 — Despite many months of negotiations, Elsevier was ultimately unwilling to meet the UC’s key goals: facilitating universal open access to UC research, as stated in the Academic Senate’s principles on scholarly communication, and containing costs for an integrated contract covering both open access and subscription costs. As a result, the UC will not be signing a new contract with Elsevier at this time. Update: February 6, 2019 — University Librarian Erik Mitchell hosted a town hall meeting for faculty,staff, and students to learn more about the UC’s ongoing negotiations with Elsevier and to provide input and ask questions. A copy of the presentation can be viewed here. Update: February 1, 2019 — UC and Elsevier have agreed to continue good-faith discussions for the time being. For now, access is expected to continue. Should we learn of any changes to access at UC, we will notify our community. Update: January 1, 2019 — The UC and Elsevier have agreed to continue discussions in January in a good-faith effort to conclude negotiations by January 31, 2019. As part of both parties’ good faith efforts, in January UC and Elsevier have agreed that access will be extended to the University of California during this time, to allow one more month to conclude discussions. Update: December 17, 2018 — The UC contract with Elsevier expires on December 31, 2018. In anticipation of this date, UC and Elsevier have been negotiating and UC libraries have been preparing for the possibility that the contract will expire before a new agreement is signed. If the UC and Elsevier are unable to reach an agreement before the current contract ends on December 31, 2018, Elsevier may suspend access to articles published on or after January 1, 2019, as well as to some journals for which the UC does not have perpetual access rights. UC libraries will provide alternate access to these articles. This negotiation does not impact where UC faculty can publish. UC faculty may continue to publish in and review for any journal of their choice regardless of the outcomes of these negotiations. If successful, UC authors will have the option to make their articles in Elsevier journals open access, with funding support from the university to help pay the article processing charge, or they can opt-out and publish their work as subscription access only. Even if access to new content is suspended, the UC will continue to have access on ScienceDirect to articles published before January 2019 in all Elsevier journals for which the Library has a pre-existing subscription with perpetual access rights. This content represents about 86% of the journal titles UC has access to in 2018, and the titles in this category are the most heavily used. For new articles and for the subset of journals for which we lack perpetual rights, the UC libraries will provide alternative means of access to UC readers as they do for any other content that we don’t currently license. As negotiations progress and we better understand which scenario will come to pass, we will provide an update regarding next steps. If there is a period when UC is without a contract and Elsevier suspends our access to new content, here are some other ways to access the articles you need. For more information regarding our negotiation goals and the specific negotiation with Elsevier, visit the Office of Scholarly Communication’s Top 3 Things to Know and FAQs pages. We would like to hear input from the campus regarding these negotiations as well as how we can continue to serve the information needs of scholars and researchers if access to 2019 content is suspended. Please join us at our town hall meeting on Wednesday, February 6, from 12 – 1 p.m. in Geisel Library, Seuss Room (main floor).